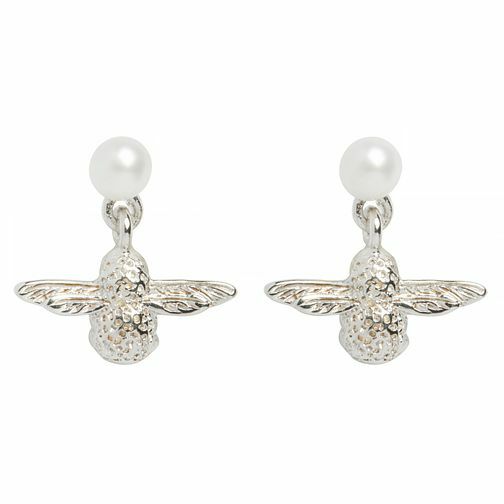 These beautiful Olivia Burton Silver Tone Faux Pearl Bee Earrings feature the signature 3D Bee and pearl combination. Featuring a sweet rose gold dangling bee detail and a pretty pearl, these everyday studs just got seriously opulent. Wear alone, or style with the rest of the collection.